We have offered Work Placement opportunities to several Animal Care Students over the years. 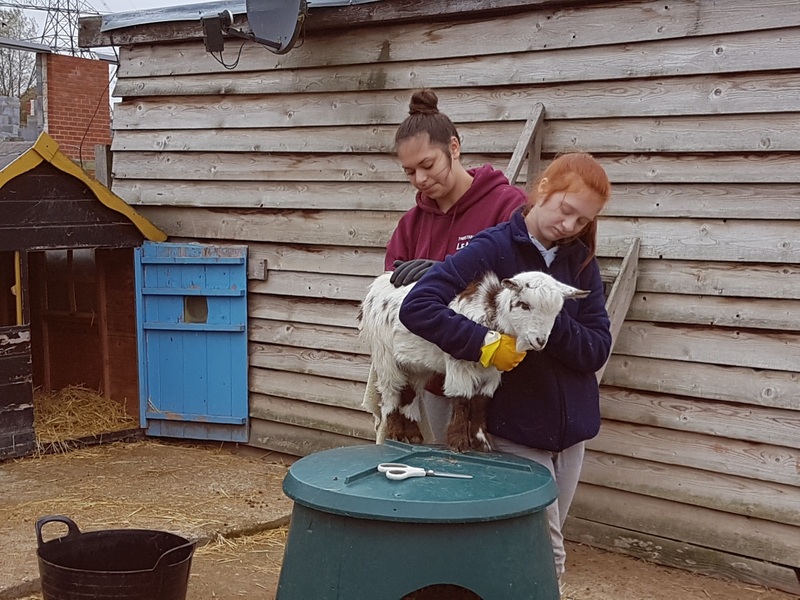 If you or someone that you know requires a Work Placement, we may be able to assist, however, the student must be studying Animal Care Level 2 or 3 at either Writtle, Easton & Otley or South Essex College. The work placement must be for either 1 or 2 days per week and be for the minimum of a college year. If you fit the criteria and it is your dream to work on a farm, zoo or with large livestock, then we may be able to assist. Previous students have gone on to study Veterinary courses, work at Zoo's, kennels and farm park environments. DO YOU REQUIRE A WORK PLACEMENT FOR SEPTEMBER 2019 - TELEPHONE: 07813290708 TO ARRANGE AN INTERVIEW - YOU MUST FIT THE CRITERIA MENTIONED ABOVE. Please see our Student Work Placement Gallery for photographs of some of our previous/current students.